Pannell Discussions » 287 – Farmers like trees » Ideas in economics, environment, policy and more. Posted on 16 November, 2015 by David Pannell. This entry was posted in Agriculture, Economics, Environment, Latest, Natural resource management. Was the value premium determined within locations/regions? Was it corrected for “base” pasture production? I would say a reasonable number of farms in the sales database would be dairy farms, and earnings potential (and hence land value) would be closely linked to pasture production (backed by data). 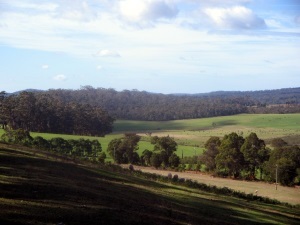 Ranking regions for descending pasture production, I would say Gippsland, Southwest, Northern Vic (backed by data). If I ranked them, off the top of my head, for expected area of trees on an average farm, they would be in the same order. This multicollinearity could be an issue if not handled appropriately. Thank you for your interest to this study and your questions. First of all, I would like to clarify that the study area is in North Central Victoria (NC CMA). For this reason we cannot compare Victoria regions you mentioned. Within the study area, we control for observable attributes (proximity to population centres, rivers, slope, etc) as well as for unobservable location specific attributes. 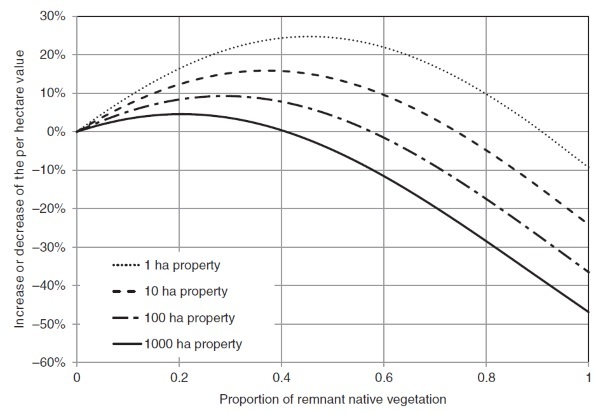 The premiums are calculated relatively to similar property of same size in same location, but without any native vegetation. I am not so sure what correction for “base” pasture production means. In our dataset, about 2.5% properties (about 5% area) are classified as dairy farms, they are located mostly in north-eastern part in irrigates zone along Murray river. About 30% properties (60% area) are classified as “Mixed farming and grazing without structural improvements”. Finally, in this study we control for both spatial autocorrelation and multicollinearity. The post is really interesting and highlighting the facts about how farmers make a choice in selecting land which they feel that it would be profitable to them. The farmers choose land which has more vegetation on it rather than the bare land which after when goes to the market the price of bare land is less then the land which has some vegetation. So now the farmers are liking the trees very much because even that choice is very profitable for them in the future. This post actually gives a lot of information about importance of vegetation as it adds beauty to the environment and also gives profit to the farmers. And this is a fact I think that if farmers are happy we all our happy because they are the one who are giving us food.